Okay, so in case you haven’t noticed, this has been the week of the guest post around here at 5D5W. Not that I’m complaining, mind you! Allison’s site is awesome for quite a few reasons, not the least of which is that she likes creating thrifty DIY projects like I (and so many of the rest of you) do. 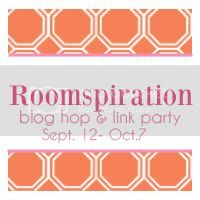 Throw in the fact that she hosts one heckuva link-up party (crafts, projects, food…you name it) every Thursday AND she’s a seriously funny lady, and you’ve got one fantastic blog. I am so honored to get to introduce myself to her readers. Hop on over and check out my post, but make sure you stay a while and have a look around. Lots of eye-candy, great ideas, AND a huge Dremel Multimax giveaway in progress (which reminds me…I haven’t entered yet!). And now for that little reveal I promised yesterday when I also unveiled the results of the Thrifted or Grifted poll (if you haven’t seen it yet, you might be surprised). Today, I’m showing you the first thing you would encounter if you came over to my house for a visit. Since most of you can’t actually do that, just imagine knocking on my front door and my opening it to greet you with a smile, releasing the mouth-watering aroma of fresh-baked banana bread as I do so. Now, imagine my looking a bit frazzled and holding a pair of mismatched socks, the rest of which are strewn about the living room floor, and you’ll be much closer to reality. I am making banana bread tomorrow morning, but only because I let the bananas get too mushy and will have to chunk them otherwise (please, please, please never assume that, because the pictures I am showing you are pretty/neat, that the rest of my house/life looks anything like that because, 95% of the time, it doesn’t). The wall color is Sherwin Williams Quietude (which I used the leftovers of to paint my French doors). I bought the hall tree at the local barn sale I also mentioned here and here (I find the best stuff there!) for less than $100. The vintage phone booth was bought from another local spot (I think I talked him down to $15), and I used a sample-sized can of that pretty turquoise (whose name I do not remember) to spruce it up (definitely one of those don’t-look-too-closely pieces which took a boatload of paint-scraping to make look half-way decent…I was just a sucker for the lines). That phone you see there was a $7 Goodwill find and would be so much more practical if it were actually hooked up (we were assured it worked). 18 months isn’t a long time to have something just sitting around uselessly, is it? (Please say no). I painted the cream-colored section and used the last few dabs of the same turquoise that is on the phone booth to highlight the scroll-detail. I bought the tin doorknob hangers as a set from JcPenney on a major sale (Maybe $30 for all 5) after stalking them for a while online. The clock is a church garage sale find (complete with the original tags from World Market) for $2. The big urn was a $10 purchase from a curio shop in my hometown, and the hydrangeas were 90% off at Michael’s. I would love to say that I took all of those pictures and that they mean something specific to me, but the truth is that I bought them from a stand at an open-air market in Sydney, Australia (someday I’ll post about it), and, although the lady who ran the stand did take them in various locations throughout Australia, I have no idea about any specifics or significance. They are special to me, though, because they remind me of the mind-blowingly amazing trip that my husband and I got to take (while our respective parents took turns watching our two boys…Della wasn’t in the picture yet) over New Year’s 2010. The boys were taking turns “helping” me press the button for the pictures. Of course, then Simon decided the shot would look so much better with him in it and popped up out of nowhere for a cameo. Hey there, Doodle-bug. He’s pretty cute, but I figured I’d leave you with one last uninterrupted entryway shot. Hope you enjoyed this little come-on-in tour, and I wish that I really could have you all over for banana bread tomorrow because a) I like you and b) we’ve got lots of mushy bananas around these parts! As I mentioned yesterday, I will be spending my weekend exercising my fanny off with my fellow Les Mills-junkie instructors. 2 whole days of nothing but sweat and adrenaline. I know that sounds like medieval torture to some of you, but I’m crazy excited. If you think of it, though, would you say a prayer for this little girl? Notice the maniacal, “I’m on the stairs, and I have Mama’s shoes” gleam in her eyes. She’s never been away from me for more than 6 hours, and she’s a ridiculously huge Mama’s girl. This could be tough on her and her sweet daddy (oh, okay, and me too). I’m kind of nervous. I’ll be back for Move-it Monday with loads of fun (sweaty) pictures to show you. Just be glad there’s no such thing as scratch-and-sniff blogs. P.S. If you haven’t already, get yourself on over to that cute little giveaway button on the sidebar, and win yourself $25 to The Pleated Poppy! Thank you for discussing excellent suggestion. Your web blog is extremely cool. I am affected by the small print that you have on this website. It reveals however potentially you understand that types of remarkable subject. Saved this website in my menu, can return for additional articles. I like your blog.Totally interesting also extraordinary blog beautiful picture gallery of models.Give more pictures.Thanks for this sporty blog article. website, both run on WordPress. This blog post was absolutely fantastic. This is a good post. This post give truly quality information. I’m definitely going to look into it.Really very useful tips are provided here.thank you so much.Keep up the good works. This is really awesome and very useful post! I just came across to reading your blog it serve very useful information Nice blog, I really glad to used it..
New blogger here and I have to say that I love the passion you are showing through these comments. A lot of good stuff here to absorb! Thank you for sharing superb informations. Your website is very cool. I’m impressed by the details that you’ve on this site. It reveals how nicely you perceive this subject. Bookmarked this website , will come back for more articles. I am gratified to catch a glimpse of your blog I conceptualize it . It is an fascinating blog its your gratefulness for capitulating and giving out with us.Thanks for the concise summary of the issue ! Hi ! I am gratified to catch a glimpse of your blog I conceptualize it . It is an fascinating blog its your gratefulness for capitulating and giving out with us.Thanks for the concise summary of the issue ! I like your blog . Totally interesting also extraordinary blog beautiful picture gallery of models.Give more pictures.Thanks for this sporty blog article. Excellent home decorating post.I like this post.Thanks for posting and sharing with us. Excellent and impressive article on social media.I really appreciate what you wrote in the article.Many Thanks for sharing such wonderful and full of information article with us. Well written article.I really admire it a lot.Thanks a lot for sharing. Keep sharing as like this always in future too. Awesome shared collection.I liked all the decoration.All are just too good.I was looking for same kind of stuff for so long and got here on your blog.Well man you did a great job by sharing this with us.Keep sharing as always. Its a very good photographic and designing for the home and also good information about all picture that is very good. I like your blog and its very informative. 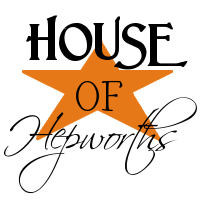 This is a nice content.House of Hepworths is amazing-Allison highlights her craft.The written skill is so good.I am very impress to this content.Thanks to share this blog with us.Keep it up.I will keep share in future. This is a nice content.House of Hepworths is amazing-Allison highlights her craft.The written skill is so good.I appreciate to this one.Thanks to share this blog with us.Keep it up.I will keep share in future. This is a nice content.I like this one.This is an amazing.The written skill is so good.This is well informative post.I appreciate to this content.Thanks to share this well informative blog.I will keep share in future. This is a nice post.This will help us to inform that where we are now.This is anamazing.I like this content. This is a great article.I appreciate to this content.Thanks to share this blog.Keep sharing. This is a nice content.They just saw me after I took the shot of morphine or the morphine-watered down.I like this one.The written skill is so good.I am very impressed.Thanks to share this blog with us.Keep it up. This is a great article.The rest of which are strewn about the living room floor.This is an amazing content.I appreciate to this great article.Thanks to share this blog with us.Keep sharing.I will keep share in future. All post are very nice.I like these all.This is an amazing.The written skill is so good.I appreciate to this well post.This is an amazing.Thanks to share this well informative blog.Keep sharing. Ooooh. That IS a sweet hubby! I’m still nursing Della too, and it was interesting, but it all worked out! Thanks. She is a cutie, isn’t she? Hmmm…I’ll have to do a little searching on the stairs runner. I used to know off the top of my head, but it’s gotten pushed out by other stuff. : ) I will say that it’s actually not a stair-runner at all but a bunch of rug runners, cut to size and stapled together, and I got them on Overstock. I’ll get back to you! Oh, I know for sure that I am not all of those things every day and none of them on many days, but I appreciate the compliments, just the same. Only by the grace of God! Glad you’re here! Thanks, Jane! I really appreciate it. And I can NEVER get enough of aqua or any related blue-green color. Every time I try to veer away from, I’m inexorably drawn back in. Thank ya, ma’am. I inserted it as soon as I got it! And thank you again for having me by for a visit! It was such a treat! Cool blog! Found you through your feature on HOH. I am so happy that Allison featured you. If not I would have never seen your blog. I love it! You are all that I strive to be…a frugally fashionable, fit-spiritually and physically, a Rock Star Mom and a Knock ya SOCKS OFF DIYer! Congrats in your recent Celeb status! Your daughter is beyond adorable! Please share the brand and source of your stair runner! I’ll pray for you this weekend! Love the telephone booth-can’t get enought of that aqua lately Yay! for you! You should be featured-your blog is just terrific. I’ll say a little something for you and yours when the Big Guy and I have a conversation later today. The vintage phone booth is awesome! I really love the clock as well and the wall paint color. Anyway you and your family will be in my prayers! I hope everything goes well! Abbie, you deserve all the love, everything is gorgeous! I love the stenciled french doors from your previous post and all of your color choices!! It’s great to see you around so many lovely blogs!! !